Few days after Etisalat 4G LTE Network went live in Lagos, Etisalat data plans have been reviewed to meet its 4G LTE status. Many are already enjoying Etisalat special evening, night and weekend data plans but now, this new internet data bundles will give Etisalat subscribers an additional option to choose from. Getting the latest Etisalat Internet data plans for your devices is very important and so it is better to stay updated on what tariff plan is available. Today, I will be briefing you guys on the best and affordable Etisalat data plans which hopefully, will keep you online in the upcoming ember months. The newly introduced Etisalat Data Plans seem to be a tad costly especially now everyone is looking for the best way to manage the economy. When MTN released a reviewed data bundle plan some few days ago, it didn’t get people smiling like when Glo unveiled theirs. But I’m certain that of Etisalat won’t collect your MB without you using it like others. Opt-in for any of Etisalat prepaid data plans listed below depending on your need. 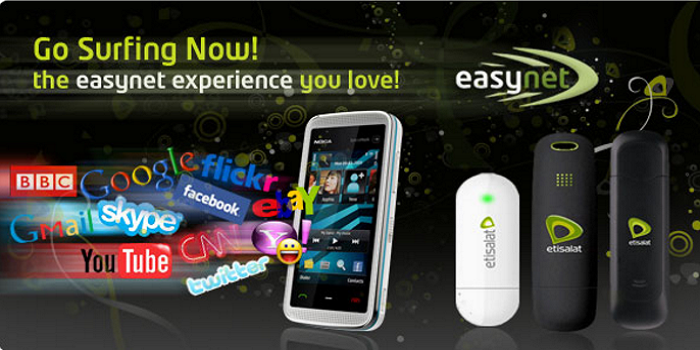 The Etisalat Data Plan for evening, night and weekend is available to all Etisalat Nigeria prepaid customers. The subscription codes / activation codes and prices for the Etisalat Data Plan for evening, night and weekend are listed here. Get the codes via SMS: text “help” to 229. You enjoy automatic renewal (auto-renewal) of your plan, provided you have enough airtime to purchase the same plan. unused data will be rolled over during auto-renewal, or if another data plan is purchased before the current plan expires. T0 opt out dial *229*0#. Call charges will revert to 40k/sec upon expiry of the data plan. Subscribe to any of our blackberry plans and enjoy the super fast speed Etisalat offers. what’s more, you even get an option to call at 20k/sec just by buying any of our voice plans. Etisalat Smartpaks package (Chat pak, Social me pak as well as the Video pak) lets you enjoy unlimited access to the apps you use the most, with smartpaks. buy all-day or all-week access to app bundles that let you chat, get social and watch movies and live matches. The chat pak gives you access to instant messaging apps, such as WhatsApp, wechat, facebook messenger, BBM, line and kakao. The video pak offers two uninterrupted hours of video streaming. enough time to enjoy a live football match, catch a movie or chill out with youtube. use the social me pak to stay connected to facebook, twitter, Instagram, and BBM. you don’t need to change your phone to a more expensive model; the chat pak works well with an app-enabled basic device such as the Nokia Asha and Tecno t635. please note that our fair usage policy applies. To subscribe, visit here or simply dial *200# and select option 3 for the data menu. choose option 3 for smartpaks. Also, ETISALAT launched a special data package for Nigerians who intend to use American video-on-demand platform, Netflix. With this Etisalat data plan, you can now afford the opportunity to stream all your favorite videos on Net with just #400. See details here. Please note: auto-renewal applies. To stop auto-renewal, dial *229*0#. Rollover applies when you purchase the same bundle (daily, monthly, quarterly. bi-annual and annual). Dail *229# to subscribe for the new Etisalat data plans. please, I just want to ask, has airtel 4g launched in Lagos too? OK, pls I use a techno C5, i tried to enable the 4G on my phone, but anytime I change my network to the 4G, my service just goes off, can’t even calls, the service bar just becomes empty, is that normal?